Jess Gillam was ​“the indisputed highlight of the Last Night of the Proms”. Her performance of Milhaud’s Scaramouche with the BBC Symphony Orchestra and Sir Andrew Davis, brought the Royal Albert Hall to its feet and has been widely praised by viewers and Prommers alike. She also joined baritone Gerald Finley for World War II Song Sequence arranged by Anne Dudley. Jess released Scaramouche and If as her debut tracks with Decca Classics on the Friday before her performance, which peaked at number 1 and 2 respectively in the classical iTunes chart over the weekend. 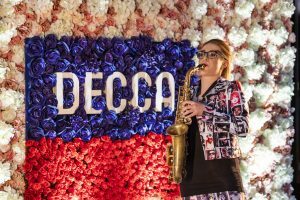 One of today’s most electrifying young musicians, 19-year-old Jess Gillam, has signed an exclusive recording deal with Decca Classics– becoming the first saxophone player to join the historic label. This major new deal will help nurture her musical development as she takes the next steps in her growing career. She will enter the recording studio for Decca for the first time later this year. Last year, Jess made her BBC Proms debut at the Royal Albert Hall, and she will be returning this year for two more performances: firstly, as part of the BBC Young Musician 40th Anniversary Prom on 15thJuly, and secondly as one of the star soloists in the ever-popular Last Night of the Proms on 8thSeptember. A pdf of the Decca Classics Jess Gillam Press Release can be downloaded here. Jess Gillam is managed by HarrisonParrott/Polyarts and remains grateful to the Young Classical Artists Trust for their support. She is a Vandoren UK Artist, and became the youngest ever endorsee for Yanagisawa Saxophones aged 13. 19-year old Jess Gillam has taken the classical music world by storm since being the first saxophonist to reach the final of BBC Young Musician in 2016. 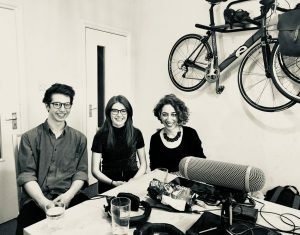 In this series of six podcasts (published weekly from Friday 6th April to coincide with the TV broadcasts) she’s joined by two of her friends and musical partners, pianist Zeynep Ozcusa and bass player Sam Becker, to explore just what it takes to make a life in music. They’ll be joined by special guests, including former Young Musicians winners Nicola Bennedetti and Sheku-Kanneh Mason, to talk about everything from stage fright and memorising music, to choosing what to wear on stage. Saxophonist Jess Gillam chooses music by some of her favourite composers and performers, including works by Stravinsky, Holst, Mahler, Gershwin, Richard Strauss, Kurt Weill, Philip Glass, Michael Nyman, Jan Garbarek, John Harle and Stan Getz. 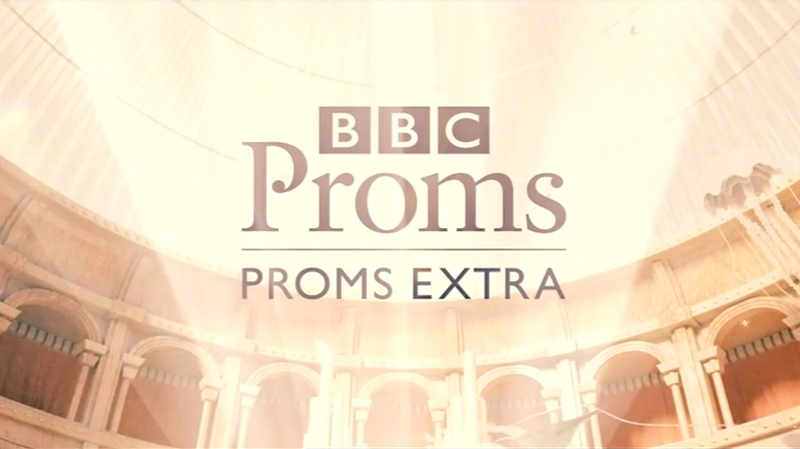 At the start of the summer, the BBC’s Proms Extra team filmed Jess as she prepared for her 2017 Proms debut. The resulting film with studio discussion and contributions from Nicola Benedetti, is now on the Videos page. Jess will join the section of the BBC Philharmonic Orchestra/the Halle Orchestra in a concert in support of the families and friends of the victims of the Manchester terror attack. The evening will include inspiring and uplifting classical music, a performance by Alice Coote – one of the world’s finest mezzo sopranos – as well as songs from international jazz star Clare Teal and award-winning singer-songwriter Guy Garvey. Everyone involved with the event are giving their services free. Tickets for the concert are free, but you MUST have a ticket to gain entry. Please note: tickets are limited to four per household. Jess performs in the BBC Ten Pieces Prom at the Royal Albert Hall. She will be performing the first movement of Island Songs by Peter Sculthorpe. There will be an evening and matinee performance. Join rollicking ringmaster Sir Henry Wood (founder-conductor of the Proms) on an exciting adventure for all the family. Together with young performers, the Ten Pieces Children’s Choir and guests, he discovers how nature, history, dreams, love, magic and lots more have inspired composers to create musical masterpieces. Jess will also be performing in the John Williams Prom on 20th July, see dates for more information. Winner of five Academy Awards, 22 Grammy Awards and seven BAFTAs, John Williams is among the greatest of film composers. His scores for Star Wars, Harry Potter, E. T. The Extra-Terrestrial, and the Indiana Jones films have made him a household name. The BBC Proms celebrates his extraordinary achievements in a concert to mark Williams’s 85th birthday. Keith Lockhart – a long-time colleague of Williams at the Boston Pops Orchestra – conducts the BBC Concert Orchestra in an evening featuring excerpts from the composer’s best-loved scores, as well as some lesser-known gems. Jess will be performing a movement of “Escapades from Catch Me If You Can”. Steven Spielberg’s 2002 film ‘Catch Me If You Can’ was set in the 1960s, and John Williams created a marvelous film score “Escapades” evoking the style of the progressive jazz movement popular during that time. Jess will also be performing in the BBC Ten Pieces Prom on 23rd July, please see dates for more information.